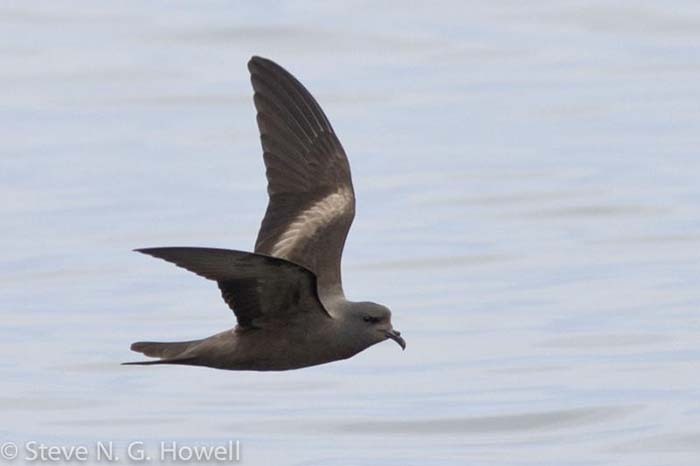 The Markham's Storm-petrel (Oceanodroma markhami) is a species endemic to the Humboldt Current, which flows off the coasts of Peru and northern Chile. Very little is known about its reproductive biology. Until we launched our project, only one nesting colony has been found on the Paracas peninsula in Peru, where nests are located under salt deposits, some as far as 5km inland. But the great majority of the nesting sites of this species continue to be unknown. 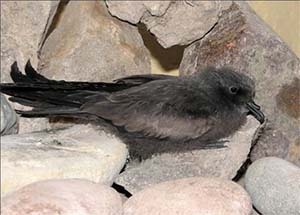 The Markham's Storm-petrel is classified as Data Deficient by the IUCN, due to the lack of knowledge regarding their nesting sites and nonexistence of estimations of its reproductive population. First breeding evidence for Chile! 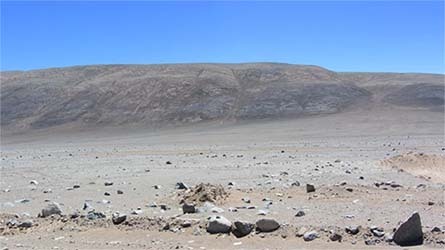 During November of 2013, a team from the Red de Observadores de Aves y Vida Silvestre de Chile(ROC) foundevidence of nesting colonies of Markham's Storm-petrel in the Pampa Camarones area (south of Arica) and Salar Grande (south of Iquique), some as far as 10 km from the coast. 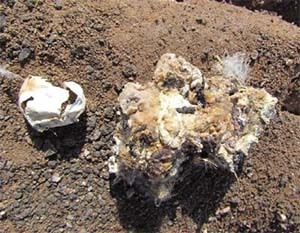 Remains, feathers, fresh footprints outside of cavities, partial eggs, feces, and a chick vocalizing below a salt deposit were observed. This is the first evidences of Markham Storm-petrel breeding in Chile. 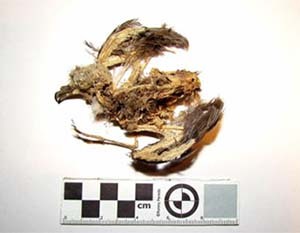 In light of these findings the Markham's Storm-petrel Project is proposed. The main objective of this project is to search for and discover reproductive colonies of this species in northern Chile. A series of explorations were conducted beginning 2014. 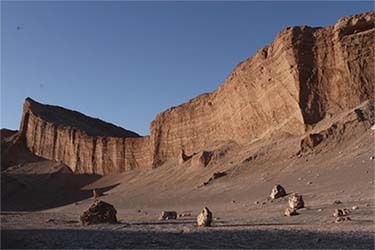 The on going explorations encompass the areas of salt flats, ravines, and hills of the coastal desert that span between the cities of Arica and Antofagasta. The investigation focusses on an exhaustive sweep of the potential habitat, looking for evidence of footprints, feathers, feces or remains left by predators that may contain bones or feathers of the Storm-petrel. Efforts are also made during the night to listen for adults and fledgling vocalizing from potential nesting cavities. Since this species nests in underground cavities in desert regions where mining activity is present there is great concern about the possibility that additional mines could destroy entire colonies or be a significant source of disturbance. Discovering nesting sites for this species will be a very important first step towards needed conservation measures. 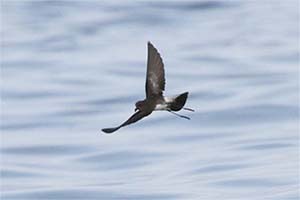 Looking for the Markham Storm-petrel could also help to discover breeding ranges of two other species of Storm-petrels, the Ringed and Elliot's Storm-Petrel, which may also breed in the same area. So far, no breeding area is known for the Ringed Storm-petrel (although fledglings are found yearly in the North of Chile). Breeding evidence has been found only once for the Elliott's Strom-petrel. For additional information on this project or how to contribute to the effort please contact us.